#DoMore at the City of Wolverhampton College! Are you completing your GCSEs or A-levels this year and are unsure of what to do next? Do you want to carry on studying but don’t want to stay on at school? If the answer is ‘yes’, then the City of Wolverhampton College can help you #DoMore with a whole range of options open to you! With its own sixth form, HE center and state-of-the-art workshops for a range of courses, including those in Creative Arts, Motor Vehicle, Engineering and Construction, Wolverhampton College are sure to have a course that will help you get on in life. Can’t decide between staying on in education or getting a job? You can #DoMore and achieve both with an apprenticeship! Engineering apprentice Carys Lewis Waterfield is one of the college’s students benefitting from learning on the job. With a range of A-levels on offer – many of which are different from those available at school – you really can #DoMore at college! The spokesman said: “We can help you study the subjects that interest you and the combination that best suits your plans for your future career. If you are worried about the cost of university or are put off studying for a degree because of work and family commitments, you can #DoMore and study higher at college! The college offers Higher Education courses, including foundation degrees, all run in partnership with the University of Wolverhampton. Russell Walls is just one former student whose college experience helped him #DoMore. 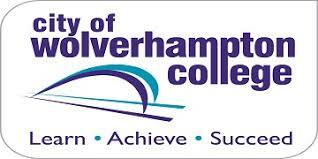 For more information on any of the college’s courses ring 01902 836000 or check out the website at www.wolvcoll.ac.uk for details of open events and enrolment days.